Technique that allows detection and early diagnosis of abnormalities in components mobile equipment. The Vibration Analysis is the process by which the faults in components of a mobile device are discovered by the rate of change of the dynamic forces generated. These forces affect the level of vibration which can be measured at points accessible machine without interrupting the operation of equipment. 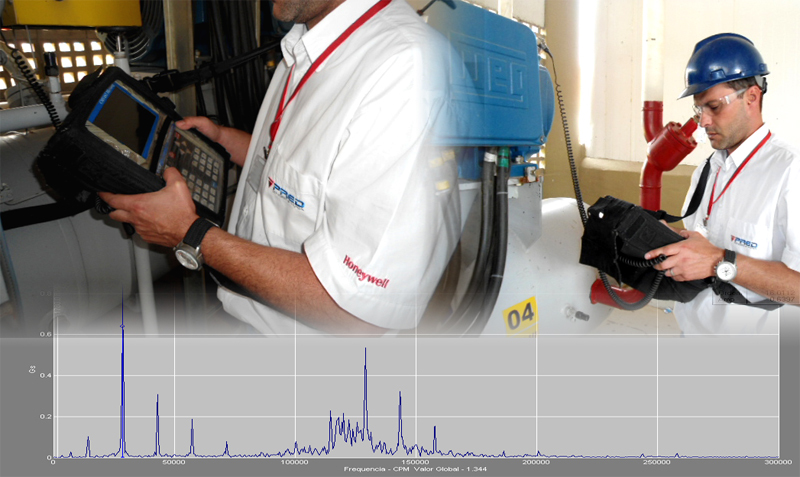 The vibration analysis using the actual operating condition of the equipment and is based on knowledge of the state machine by periodic or continuous measurements of one or more significant parameters, thus avoiding sudden stops and replacement unnecessary.